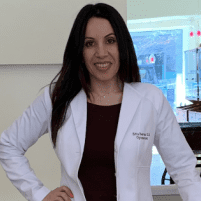 If you’re one of the 46 million Americans who wear contact lenses or if you want to find out if contact lenses are right for you, make an appointment with Zitta Rezvani, OD, at idoc Optical in Washington, D.C. Even if you have astigmatism or have progressive or bifocal lenses. Dr. Rezvani specializes in hard to fit contact lenses for astigmatism, presbyopia, rigid gas permeables (RGP), keratoconus, and irregular corneas. Call or schedule an appointment online today. With the availability of new lens materials and designs, contact lens wearers are able to achieve great comfort and vision. Dr. Rezvani in depth knowledge of these lenses makes the fitting process much easier. When evaluating a patient for a good contact lens fit, there are many considerations such as visual needs at distance, near, and computer as well as corneal curvature, presence of astigmatism, and lastly but not least the health of ocular surface and tear film. After all these aspects have been evaluated, Dr Rezvani selects a lens that will best fit the patient’s needs. This process makes every patient unique and different which will require a different prescription. At idoc Optical, Dr. Rezvani prescribes a variety of different types of contact lenses including specialty lenses to address your individual vision impairment. Disposable soft contact lenses are the most prevalent type of contact lens prescribed in America today. A wide range of brands make disposable contact lenses for a comprehensive range of nearsightedness, farsightedness, astigmatism, and presbyopia. Dr. Rezvani will examine your eyes and talk to you about what type of contact lens will best fit your needs (daily, weekly, biweekly, or monthly wear). Toric lenses are slightly weighted to help them stay in the correct position on your eye and provide you with good vision. Dr. Rezvani uses toric lenses to correct astigmatism and to correct presbyopia — the vision impairment that impacts your close-up vision as you age it requires bifocal or multifocal lenses. RGP lenses are sometimes called hard contact lenses because they’re made of hard plastic. RGP lenses are slightly smaller in diameter than soft contact lenses and allow more oxygen to pass through them to reach your eye. RGP lenses last for a year or longer as they’re resistant to bacteria and the deposits that often build up on soft lenses. RGP lenses are primarily used to correct corneal irregularities, high degree of astigmatism and certain corneal conditions such as keratoconus that soft contact lenses do not provide adequate vision. Dr. Rezvani can also prescribe scleral lenses, which are larger-diameter RGP lenses designed to correct vision for people with corneal irregularities. Hybrid lenses have an RGP (rigid) center with a soft lens skirt. They’re suitable for patients with high astigmatism, presbyopia, keratoconus, and other corneal irregularities. They provide incredibly crisp vision with the comfort of soft lenses. How do I know which type of contact lenses are right for me? At idoc Optical, Dr. Rezvani provides comprehensive eye exams including assessments for contact lenses. In most cases, she can correct your vision with soft disposable lenses. However, if you have astigmatism, presbyopia, keratoconus, or another corneal irregularity, she may prescribe specialty contact lenses such as toric, scleral, or multifocal lenses, keratoconus to provide clear, crisp vision. Are contact lenses a better option than glasses? Both contact lenses and eyeglasses can correct your vision. It’s always preferred to have a updated pair of glasses in lieu of contacts at all times. Contact lenses fit the curve of your eye and provide a wide range of clear vision, they are also for sport, working out, and vacationing. You don’t have to choose between glasses and contact lenses. Like many patients, you can alternate between glasses and contacts, depending on what you have planned for your day. Call idoc Optical today or make an appointment online for a contact lens exam and expert, customized advice on the best type of contact lenses to correct your vision.